If you're looking for somewhere new to holiday this summer, you may want to consider the “floating city” which has been spotted in the clouds over Yueyang, China. Although, not all is as it seems. 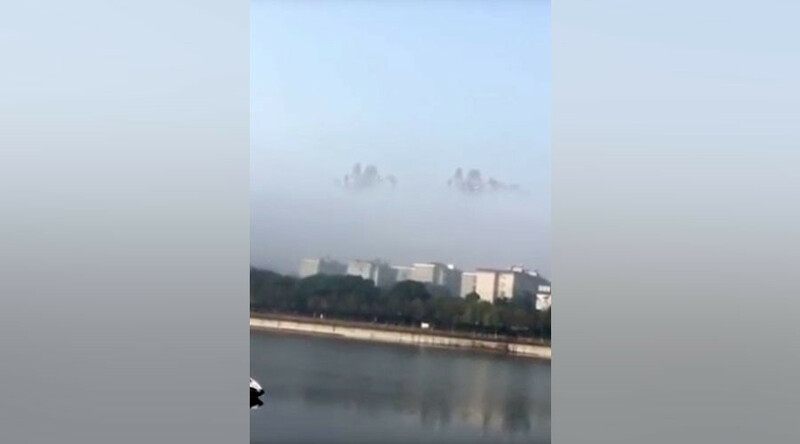 Locals and tourists alike spotted what appeared to be a number of towering skyscrapers in the clouds over the city, which is located in Hunan Province, leaving many baffled and bewildered. As the video was shared across social media, numerous suggestions emerged as to what it was that people were seeing. While some speculated that the “floating city” was a sign of the apocalypse, others thought it meant NASA had initiated “Project Blue Beam”, the space agency’s apparent top secret plan for a new world order. Others felt a more reasonably explanation would be some sort of mirage, but according to meteorological experts, they’re all wrong. It is in fact, a real city. The buildings visible in the video are actually surrounded by “radiation fog,” which occurs when the ground temperatures cool and the moisture in the air condenses as a result, according to Xinhua News Agency. As temperatures rise, the fog usually evaporates. Luckily for residents, the fog was not radioactive, explained Li Dongyang, the city’s Meteorological Bureau deputy director.